You can see the available dates for Marmaris Ephesus Tour. Please use the booking widget to make reservation. Ephesus is about 210 Km north-west of Marmaris, it is a journey around two and a half hours driving along the freeways with sparse traffic (via D550). We offer a special Marmaris Ephesus Tour, which gives you an excellent opportunity to learn more about the ancient city site of Ephesus. On these regular tours, our professional tour guides accompany you to all the sites on our list. With exhaustive information about the tour programs, our friendly and English speaking tour guides are always ready with an answer for your queries on site. 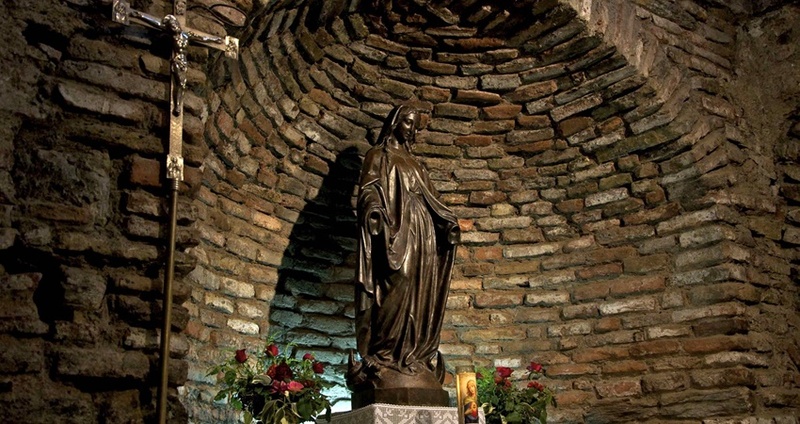 Apart from visiting the ancient city site, our daily Marmaris Ephesus Tour includes a visit to the popular shrine of the House of Virgin Mary over the Bulbul Mountain (a place just 9 Km from Ephesus). The earliest human settlements in Turkey date back to 9th century BC. Recent excavations have revealed over 300 ancient cities on the Aegean coast alone! The biggest and the most interesting one of the time is the ancient Greek settlement of Ephesus, a place just 3 Km from the modern day Selcuk in Izmir Province. The city was founded by Greek colonists in the 10th century BC. 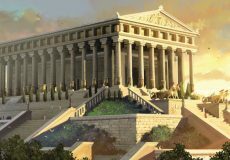 Ephesus became famous by its grand building, the Temple of Artemis. This grand temple with over hundered huge and high columns supporting an immense temple roof was regarded as one of the Seven Wonders of the Ancient World. 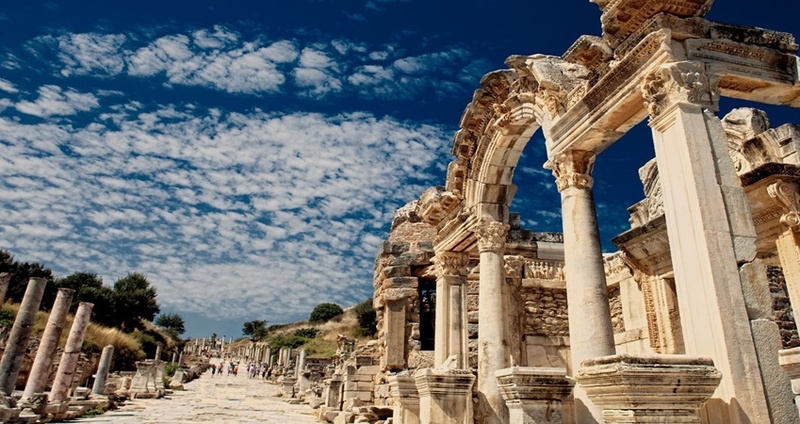 During the Roman Period, Ephesus had grown as a massive province city with a population of over 250,000. With the recent excavations, Ephesus has become one of the largest open air museums in Turkey and a major tourist attraction. This huge archaeological site attracts close to 2 million people annually. The city has captivating sites such as The Ancient Artemis Temple, the Temple of Hadrian, the Library of Celsus, and the remains of an impressively large amphitheatre, which used to host 24,000 people at a time. 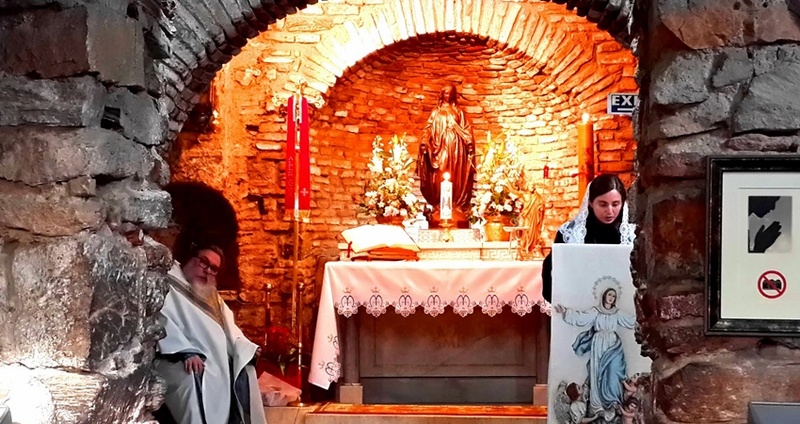 In fact, Ephesus has a good connection with Christianity as well. St Paul, a disciple of Christ, stayed in the city for nearly three consecutive years (53 to 57 AD). He congregated and organized missionary activities into the hinterlands. The Corinthians were written during his stay here. 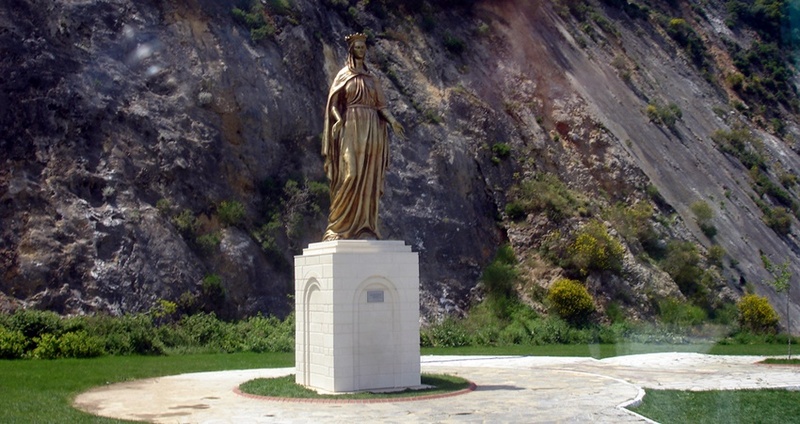 It is also believed that Virgin Mary accompanied St John to stay on top of the Bulbul Mountain, the place popularly known as the House of Virgin Mary until her Assumption. The site is rightfully declared as a holy pilgrimage by the Supreme Church of Vatican. John, one of the chief apostles also has an Ephesus connection. It is said ‘the Gospel of John’ was written by him in Ephesus around 90-100 AD. 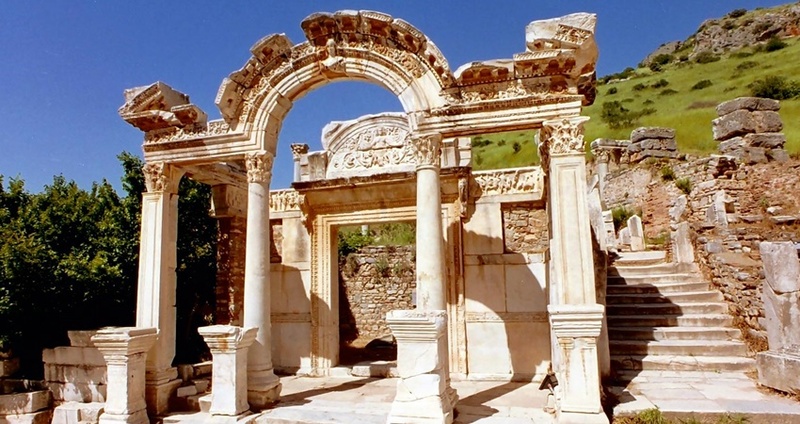 Join our Marmaris Ephesus Tour to explore the ancient city of Ephesus from Marmaris. Sun Cream, Sun Glasses, Camera, Comfortable Clothing, Comfortable Shoes, Hat. Open Buffet Breakfast, Open Buffet Lunch, Guiding Service (English Speaking) , 2 Hours Guided Tour in Ephesus, Hotel Transfer, Full Insurance, Air Conditioned Bus, Entrance Fees to Ephesus. 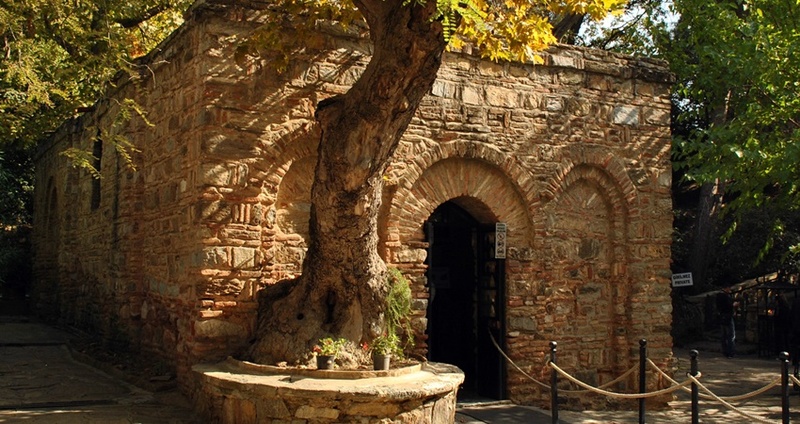 Drinks, Personal Expenditures, Other Optional Entrance Fees like Archaeological Museum, House of Virgin Mary. It will be a hard day for our guests with walking difficulties. Keep some snacks with you as its is a long day. 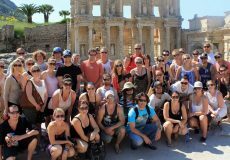 Taking our Marmaris Ephesus Day Tour gives you an excellent opportunity to visit the colossal and ancient city of Ephesus. It’s a full day tour of 13-hour duration. Our well-versed and friendly English speaking tour guides will accompany you as you walk through the ancient city streets. They can provide you more information on the sites and places you visit with us. Hotel transfer, breakfast, lunch and entrance fees to Ephesus are included in the tour price. I very rarely feel the need to write reviews on internet, but this tour fully deserves it! 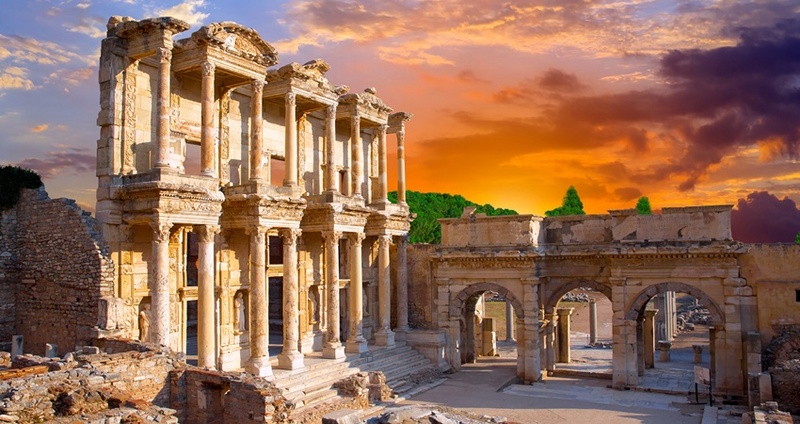 I booked the full day Ephesus Tour with Mares Travel online. The guide, Mehmet, was amazing! He was so well informed and equipped with detailed which enriched the tour so much. He gave us plenty of time to spend in key places, to take photos or just simply enjoy the city of ephesus abit more. I never felt rushed at all (which I did with another different tour I did the day before, with a different company of course!). Lunch was included in the price and it was delicious! I really hope this guy is getting well paid because he does a great job!!! Felt so bad that I didn't book my other two trips with them really as I would have enjoyed it even more than I have, but I'll make sure I book all my trips with next them next time! Thank you once again for all your service and making my last day in Marmaris an unforgettable one. We had a lovey day with our tour guide Mehmet, he took us around in the ancient city of Ephesus also to the Temple of Artemis. Mehmet paced a great tour, we never felt rushed nor bored. I can easily say without any hesitation that it was one of the most interesting day of my life. I highly recommend this tour with Mehmet. Just a short note to say how much we enjoyed our day trip to Ephesus from Marmaris this week. Me and my husband had great time , both guides did a great job and everything thing is very well organized. We are very thankful and would definitly recommend this tour. We really enjoyed our day trip to Ephesus from Marmaris. Thank you Sam (our tour guide) for an excellent day. How long is the drive from Marmaris to Ephesus ? The total distance from Marmaris to Ephesus is 190 km, which means a two and half hours drive. 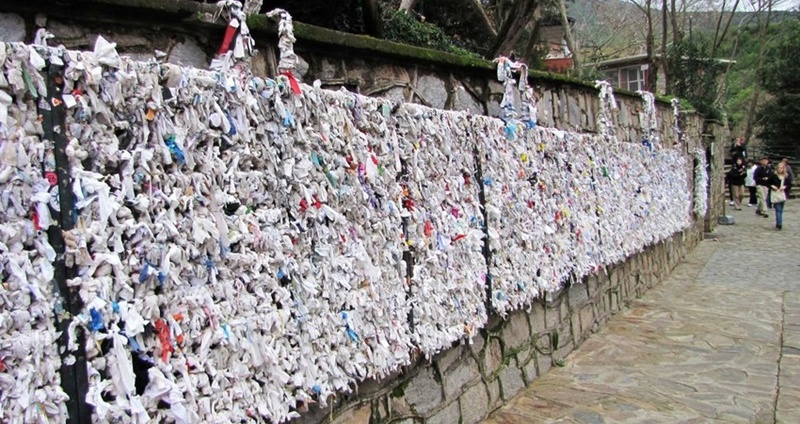 What should i bring to Marmaris Ephesus Tour with me ? We always remind our guests to bring Sun Cream , Sun Glasses, Camera, Comfortable Clothing , Comfortable Shoes, Hat for this excursion.Such details will be written on your ticket. How long we will stay in Ephesus ? The total time that you will spend in Ephesus is 2 hours. Can we visit the house of Virign Mary during the day ? After our visit t the city of Ephesus and lunch break in town selcuk, you will have 1 hour free time. 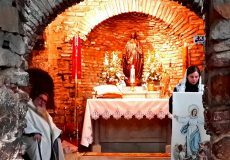 In this free time you will have the chance to visit the house of Virgin Mary. Please note that the entrance fee to the house of Virign Mary is not in the price. After our departure from Marmaris early in the morning, our first stop is at the province city of Mugla for a breakfast. An open buffet of typical Turkish breakfast (boiled eggs, cheese, tomatoes, different kinds of olives, butter, honey, a myriad of jams and fresh Turkish bread) awaits you here! You can also sip a cup of tea or coffee as a refreshing drink. Remember that the breakfast is included in the tour price, so you don't need to pay any money for the breakfast. The bus drive awaits you after the breakfast. 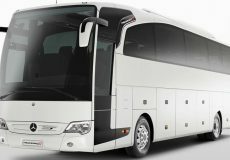 We use comfortable & air-conditioned buses during this 2 hour drive. As we arrive to the town of Selçuk, we stop there for 30 minutes to give you a comfort break. You can make use of the facilities like toilets and also have some refreshments. 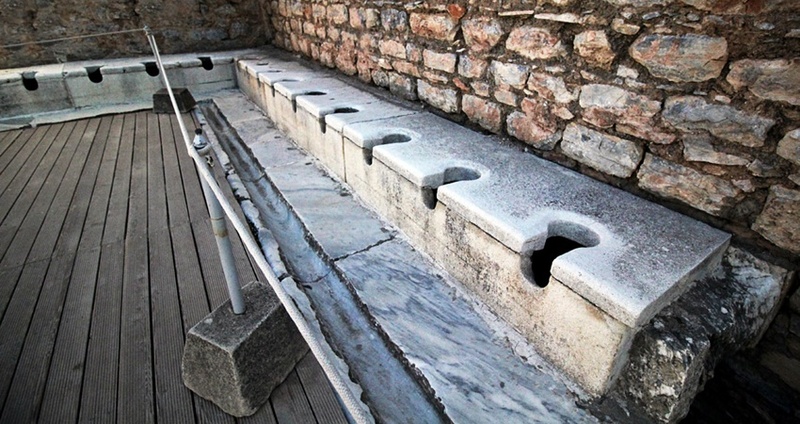 This is the right time and place to get yourself ready for your visit to Ephesus.s. 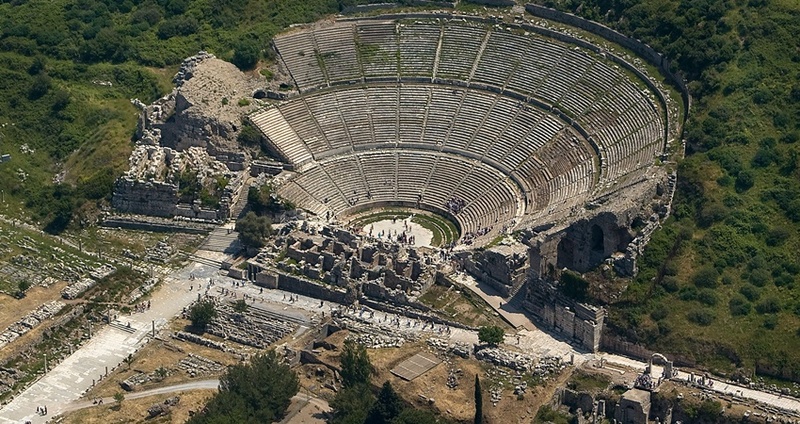 The tour program is arranged to spend 2 hours in the city of Ephesus. 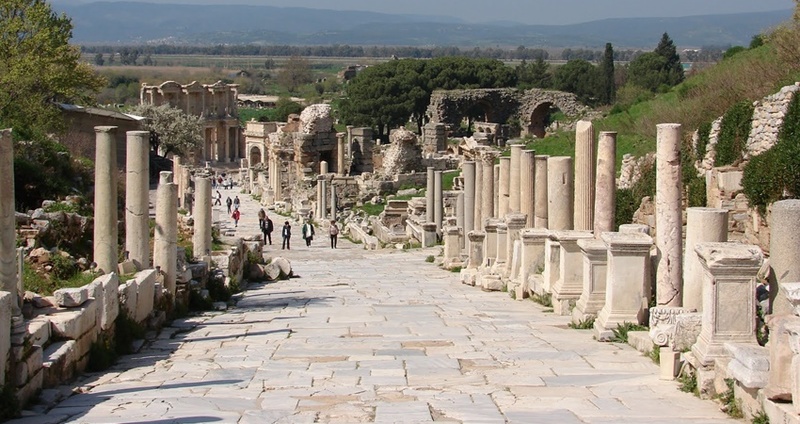 During our Marmaris Ephesus Tour you have an opportunity to walk through the remains of Ephesus with your tour guide. The Tour guides have a thorough knowledge of this place. 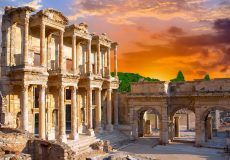 They will share with you some interesting stories of the past and relevant information about history, culture, daily life, ancient architecture, and mythology of Ephesus. Don’t think that you will need to walk nonstop for 2 hours under the scorching sun; you will have once in awhile stops in shady places. Here you can hear the stories of Ephesus from your tour guide. You will also have breaks in between to walk around on your own and to take photos on your own as tour souvenirs. After the visit to the ancient city of Ephesus, a delicious and fresh open buffet lunch is ready for you. In our fancy restaurant we arrange for 10 different kinds of cold starters and a big selection of main course options. Vegetarian food is on the menu as well. Sweets, fruits & fresh Turkish bread are also included. This sumptuous lunch is included in the tour price; you only need to pay for your drinks here. After visiting the ancient city of Ephesus and lunch break in the town of Selcuk, you will have one hour of free time which you can spend in the way that you like. During that one hour free time, you can either relax in a local cafeteria or explore the other historical sites in town. These sites such as; archaeological museum, the Temple of Artemis or The House of Virgin Mary. Your tour guide will give you the detailed information about these sites and options during the tour. The choice is yours. We expect to arrive back to Marmaris at about 19:00 in the late afternoon. 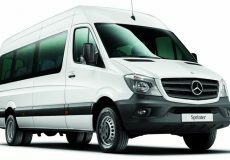 As we arrive back to Marmaris, we safely drop you back to your hotels from where we had picked you up in the morning. 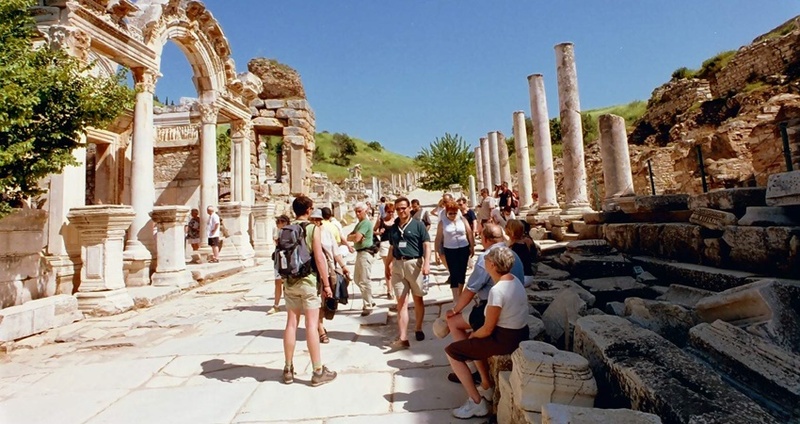 Some of the important facts and useful information about " Marmaris Ephesus Tour "